Coal Brush Coals for Hitachi C 8 / C 8U / C 8V / C 9 / C 9BA2 / C 9BU2. Coal Brush Coals for Hitachi C 12LCH, C 12LDH, C 12LSH, C 12RSH, C 6SA. Coal Brush Coals for Hitachi C 7BD, C 7BD2, C 7BMR, C 7SB, C 7SB2, C7YA. Coal Brush Coals for Hitachi C7 / C8 / C9 / C10 / C12 / CC12 / CC14 / CS28. 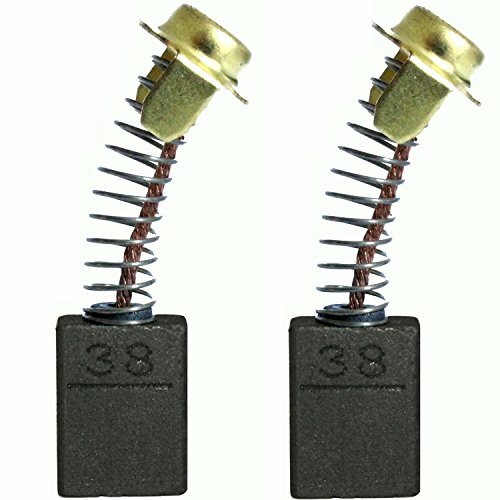 Carbon brushes Coals for Hitachi hand circular saw angle grinder planer 7x13x17.